Why fall on a sword, when nothing worse is risked by fighting? | Jon Katz, P.C. Why fall on a sword, when nothing worse is risked by fighting? Jul 02, 2007 Why fall on a sword, when nothing worse is risked by fighting? Many times, colleagues scratch their heads about why I will not recommend my client to plead guilty when a probation-only sentence looks like a good bet, and when a guilty plea will get me out of court more quickly so that I will have more time for my next client (or, perhaps, to contemplate my navel). My response is: Why fall on a sword, when nothing worse is risked by fighting? Many times I have obtained victories for clients with this approach. (DISCLAIMER: Past experiences are not an indication of future results with our law firm). Moreover, many clients have no choice but to plead innocent when obtaining a conviction will violate probation or parole, or will harm their security clearance status, employment, or immigration status. Additionally, each conviction risks jail for any future probation violations (even if a probation-only sentence is likely) and will increase the risk of higher sentences for any future convictions. 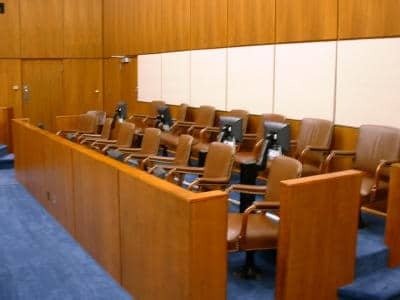 Finally, the prosecutor always has the burden to try to convict a defendant beyond a reasonable doubt; defendants and their lawyers have no obligation to help police or prosecutors do their job, and have every obligation to fight for the least possible harm for their clients within a realistic, intelligent, and thorough risk analysis. Here is a case in point about not falling on a sword when nothing worse is risked by fighting. Recently, I was in court for a drunk driving case in another county, so I asked a local lawyer some things about the judge, and he ended by saying: "This judge will be happy to bind himself on the sentence before a guilty plea is entered." I replied: "Who is talking about a guilty plea? My client is going to trial." He responded: "Why go to trial if the prosecutor is offering a guilty plea to the lesser charge and a probation before judgment?" I answered: "What difference does that make, unless my client is later found in violation of a probation before judgment, when at that time only will the client face higher points off his license and more jail exposure?" In the same courtroom was another colleague who shook his head about the judge I had, not because he is a harsh sentencer, but because "He’s tough to obtain an acquittal from." As it turned out, when the prosecutor called my client’s case (some counties permit prosecutors to call the case order in District Court, which is a practice I very much oppose, in part because of the favoritism, spite, manipulation, and pressure prosecutors can try to use in the process), he moved to postpone the trial over my vehement objection. The prosecutor’s witnesses were present, but one of them had to leave for a scheduling conflict, said the prosecutor. The judge ultimately granted the postponement, but only afte I made my record to help prevent the prosecutor from getting any further postponements. Particularly with the case having been postponed over my strong objection, what good would have come from my client’s entering a guilty plea that day? The next time we come to court, who knows if one of the prosecutor’s witnesses again will be unavailable? If that happens, and if the prosecutor’s postponement request is denied, we win, most likely through a dismissal. When clients express sticker shock over my fees, I tell them stories like I have told above, about the time I allot for preparing, presenting, and fighting for them and their cases. Because I advise clients to go to trial when they are unlikely to do worse that way than by pleading guilty, I need to set aside more time for trial, which sometimes means ending work later that night (and arriving home later) to prepare for the next day’s court date, and which sometimes means losing potential clients who wanted my services for the same day or to meet with me during the time I had blocked off to be in court already. Some ask me for a la carte service; e.g., just to bill to enter a guilty plea, so the client may save money. I stick to providing a full-course dinner. Jon Katz.